National Geographic is a well-known nature and travel magazine. It features many intelligent articles on a variety of subjects. 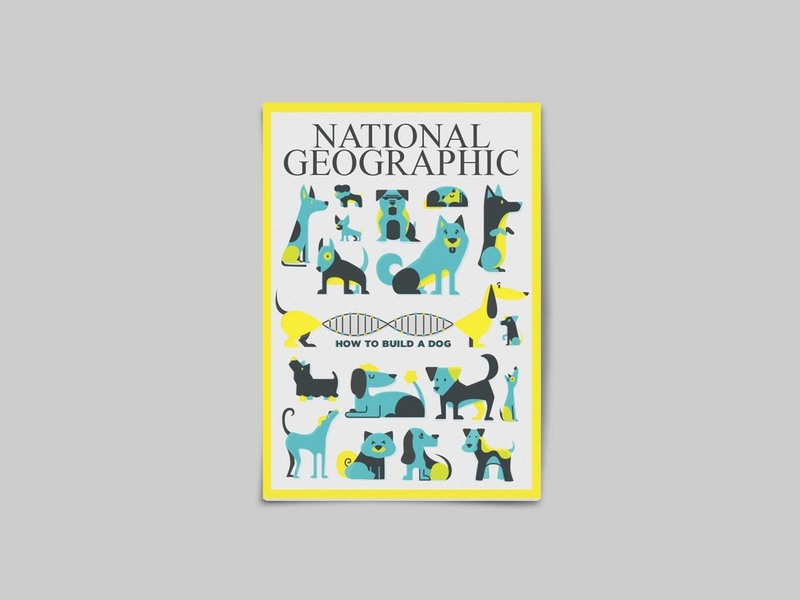 “How to Build A Dog” is an article that focuses on the depth of genetic testing and the variety of dogs produced with it. 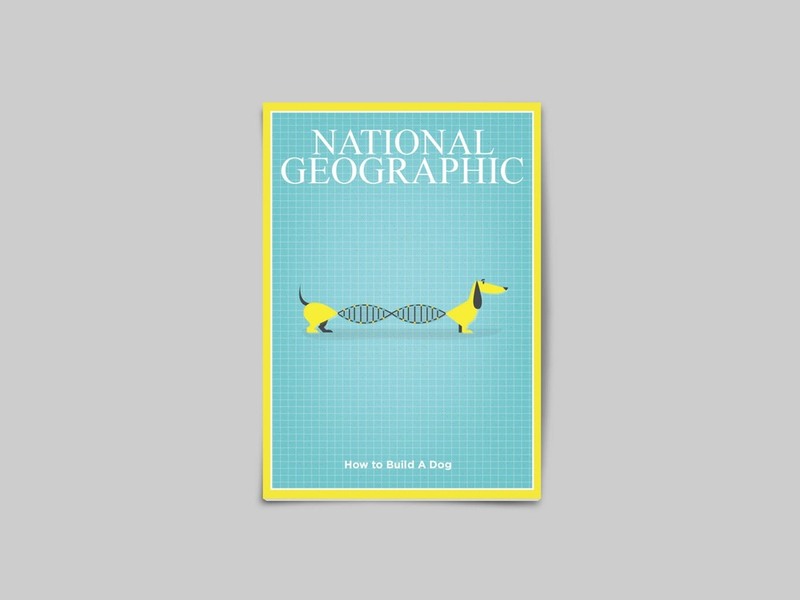 Two alternate covers were designed using the idea that the Dachshund is one of the most heavily modified dogs, and simultaneously the form works well with the DNA double helix.